Dutch is a difficult and challenging language that has some odd unexpected surprises, such as phrases from other languages and extremely difficult spelling. You may be surprised to learn how many Dutch words are borrowed from other languages. French used to be considered the height of elegance in the Dutch-speaking world, leading to a lot of French words being adopted into Dutch, such as paraplu (umbrella), bureau (desk or office) and horloge (wrist watch) etc. Almost equal in the number of borrowed words is Hebrew, which is often perceived as strange until you consider the large Jewish populations in Holland from the Middle Ages onwards. The Jews developed their own versions of local languages (e.g. Yiddish) but also contributed to Dutch by process of linguistic osmosis. Today most of the Hebrew words are part of the ‘street’ or slang language in Amsterdam, such as bajes (jail), jatten (to steal), and kapsones (arrogance). Dutch is a curious language in three main aspects that make it look most odd to native English speakers (or, frankly, natives of most other countries except for Dutch speakers!). For one, Dutch is very hard to pronounce. It contains a lot of very hard consonant sounds that can be very rough on the throat. 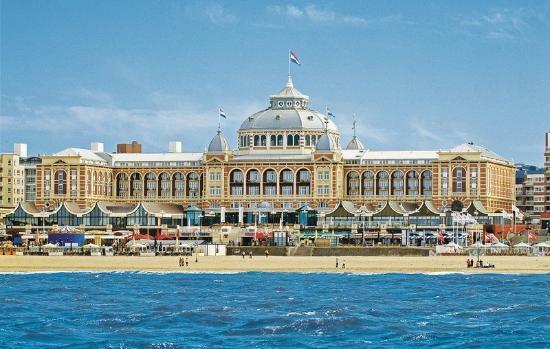 When you first start learning Dutch, it’s not unusual for your throat to start to hurt as you try chewing through words like Scheveningen (beach resort town in Holland). If you think German is a tough language to pronounce well, prepare yourself, because the Dutch hit those hard consonants even harder. The difference is great enough that in World War II the Dutch would identify German spies by the way they pronounced Dutch words. Dutch also contains some extremely long words. More than thirty letters isn’t uncommon, like the word for Chronic Fatigue Syndrome: chronischevermoeidheidssyndroom. Yes, whereas English uses three words, the Dutch simply have one enormous word. Not only are these words long, but many Dutch words also have a lot of consonants, which can make for difficult reading and speaking. Take slechtstschrijvend (writes the worst) for example. After trying to learn and pronounce words with nine or more consonants in a row, you’ll need a drink to soothe your throat (quite possibly a stiff one!). So, if you have always thought us Dutch were somewhat odd….you’re not far off! Did you know that Sinhala language has a lot of words borrowed from Dutch? Here are some familiar ones! Fantastic! Yes I know of quite a few others too. I feel a blog post coming on 😀 thanks. Man, what list, no wonder you fit in so well. But who painted the sea in Scheveningen blue? Good to have you back!